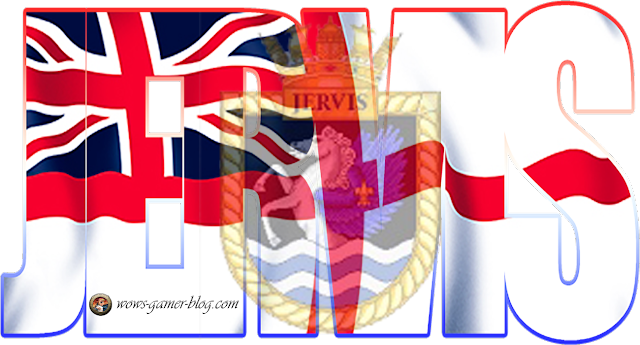 HMS Jervis — British Tier VII destroyer. 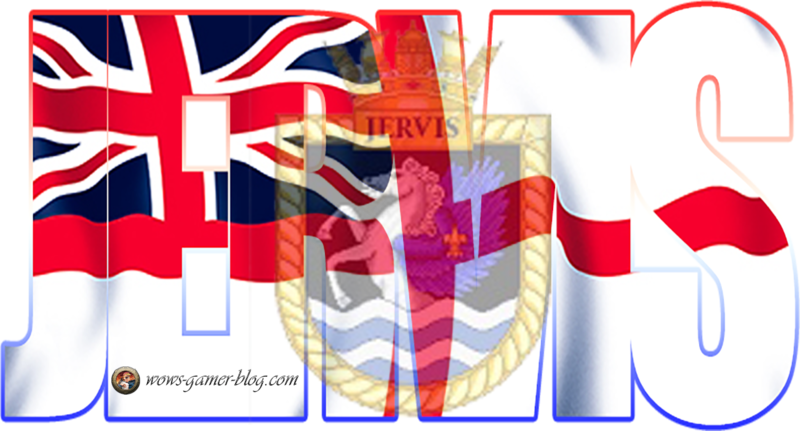 The J-class ships became the pioneers of the new generation of British destroyers. Their increased size enabled them to carry powerful artillery in new twin mounts. Main battery - 3x2 120 mm. Firing range – 12.1 km. Turning circle radius - 590 m.
Rudder shift time – 3.5 s.
Air detectability – 3.7 km. Detectability after firing main guns in smoke – 2.6 km.